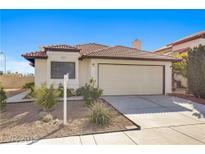 Below you can view all the homes for sale in the Tanglewood subdivision located in Las Vegas Nevada. Listings in Tanglewood are updated daily from data we receive from the Las Vegas multiple listing service. To learn more about any of these homes or to receive custom notifications when a new property is listed for sale in Tanglewood, give us a call at 702-930-8014. 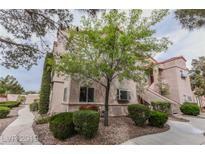 This gated community is centrally located in Las Vegas just a few minutes away from tons of entertainment! MLS#2085431. Maxim Properties. The Landscaping Is About All Maintenance Free. MLS#2083460. P and G Realty Unlimited. Nice neighborhood nearby park, shopping & restaurants. MLS#2078893. GK Properties. Community Pool & Spa!lease Buyout-30 Day Move-in MLS#2078560. Turn Key Property Solutions. Make this your home today!! Low HOA at $68.00 quarterly. MLS#2073586. iProperties International. This home is part of the Tanglewood HOA. MLS#2056653. OD Nevada Brokerage, LLC. Window Coverings Throughout, And A Nice Lattace Covered Pation Off The Master Bedroom. Buyer To Verify Information MLS#2041168. A C E Property Mangement. Come see this house today. It wont last long! MLS#1993482. Realty ONE Group, Inc.